Here's some images that folks might find interesting. 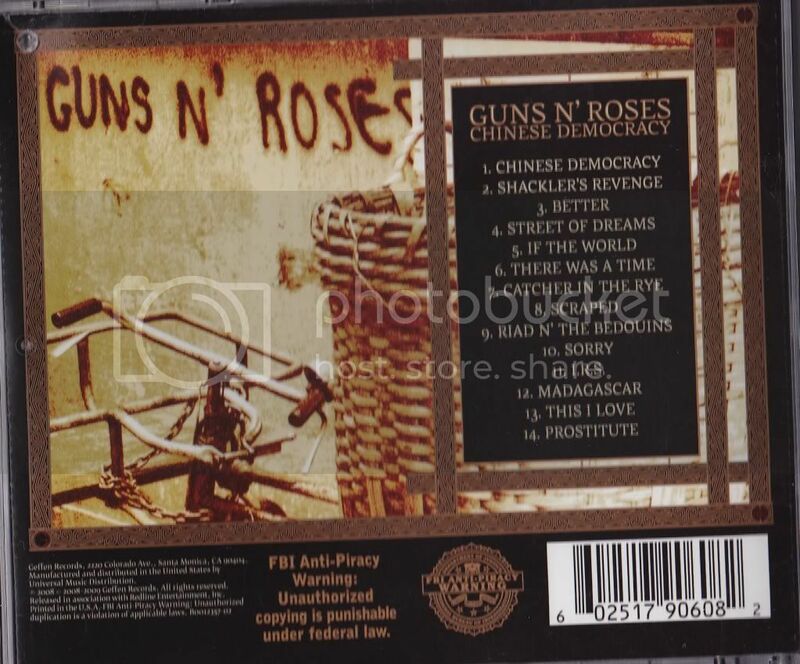 This is the Sandy Yagi artwork that goes with one of the alternate booklets for Chinese Democracy. This piece, Doggie appears on one of the credits pages. Here is a preparatory drawing that Sandy did for one of the paintings that Axl purchased. And here is that painting, The Lizard Part of My Brain that Axl purchased. 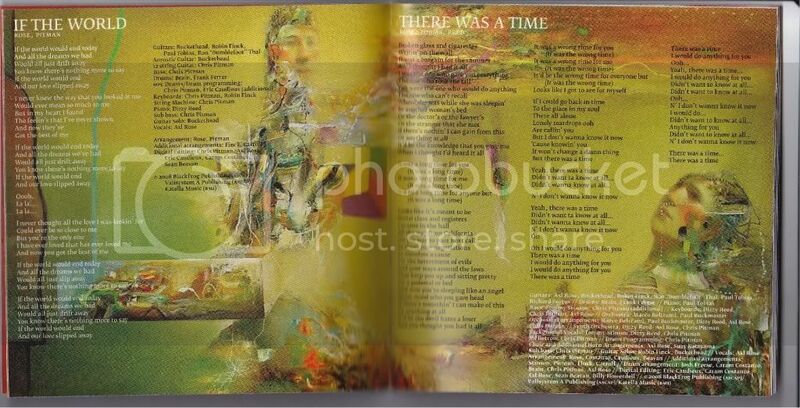 Finally, here's the painting as it appears in the alternate booklet. 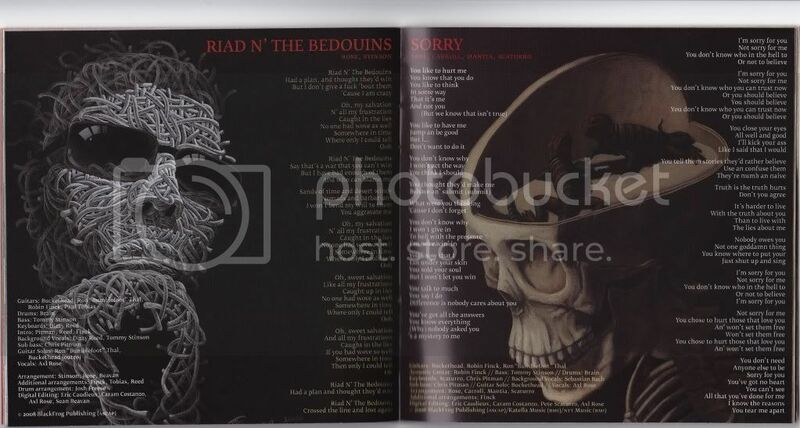 Here's the rest of what's out there in regard to the alternate booklet. 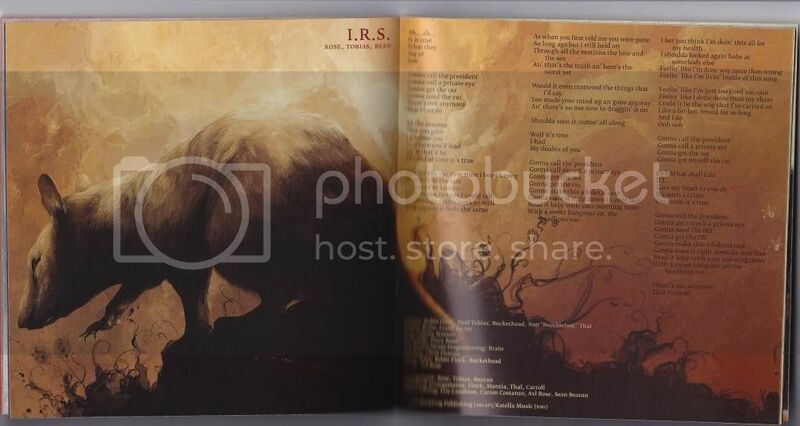 I wonder if this unused artwork will be used in the CD2 booklet, when it never comes out ever. Red hand cover is a million times better than that stupid bike anyway. Seen this? "From Russia with Love"
Is that the 'Sorry' Assault Rifle? It could be. It's from a 2010 tour shirt. I'm more interested in the fact that the gun has "Best Buy" written on it. Yeah, I find that interesting too. Damn, Red Hand cover is so much better. I used that artwork on my iPod for about a year, only went back to the original recently. I'm considering swapping it for the red hand. I always thought this would've made for an interesting cover as well! 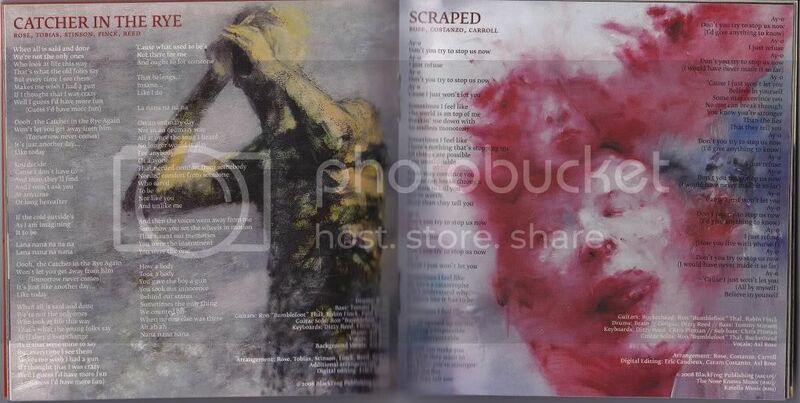 I've got a picture of the album advertised for download on the Xbox Dashboard (Home Menu) as well from when it was first released used the red hand cover. I meant this! Where did this picture came from? Someone has to have the cd for this pic to be here. People have them. I don't know how many were made, but I have a friend who has one. That particular picture came from a Swedish auction site similar to eBay.